There is an old saying to "never trust a skinny cook." So it would stand to reason that when it comes to tactical, fixed-blade knives, a company founded by two retired US Army Special Forces Green Berets is a good indication of a knife maker who knows their stuff. Spartan Blades is just that, founded by Curtis Lovito and Mark Carey, Spartan Blades was originally set up in an antebellum mule barn in North Carolina in 2008. The company has been winning awards for the last ten years at the International BLADE Show, from "Knife Collaboration of the Year," to "Most Innovative American Design," to the highly coveted "American Made Knife of the Year." 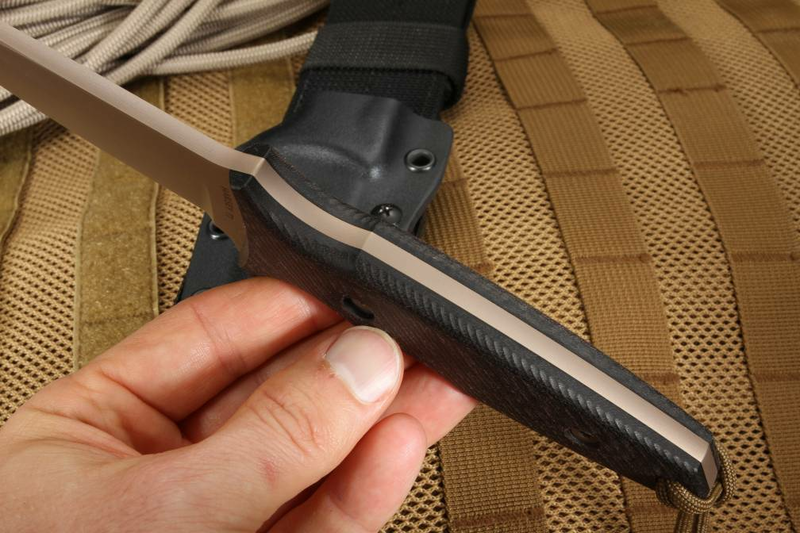 In such a short time, they are already taking the knife enthusiast community by storm with their highly effective and beautiful tactical blade designs. 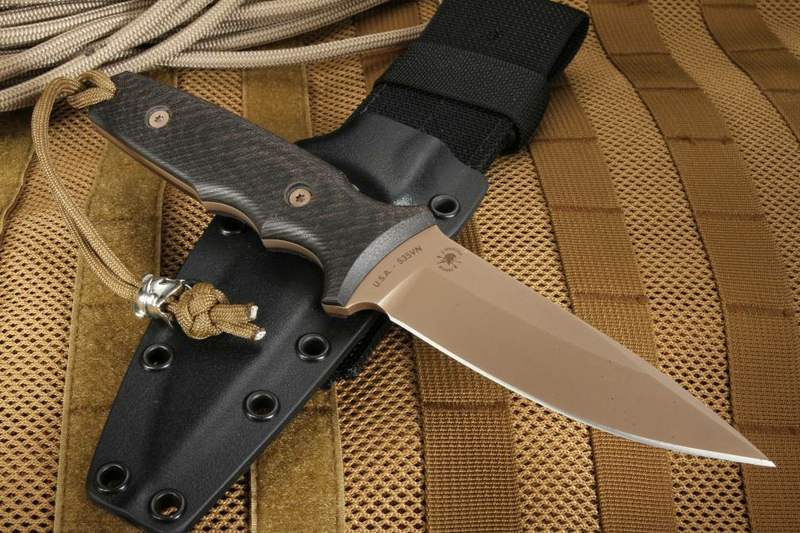 In collaboration with knifemaker and designer, William W. Harsey (designer of the world famous Yarborough Knife--which is presented to graduates of the US Army Special Forces Qualification Course), Spartan Blades has outdone itself with the Spartan Harsey TT, a 9" long, full-tang, fixed blade tactical knife worthy of the name. Constructed of CPM S35VN stainless steel, ZrN coated (Flat Dark Earth), the matte blade is non-reflective as well as corrosion resistant. The 4.5" long blade has a Rockwell hardness of 58-60, which means you can hone the 3/16" stock down to a razor's edge it will hold for a very long time, yet is flexible enough to withstand a lot of punishment without chipping or breaking. The spear point style blade is flat ground on the main bevel with a tapered top edge to allow for versatility in piercing as well as chopping and cutting and superior tip strength. 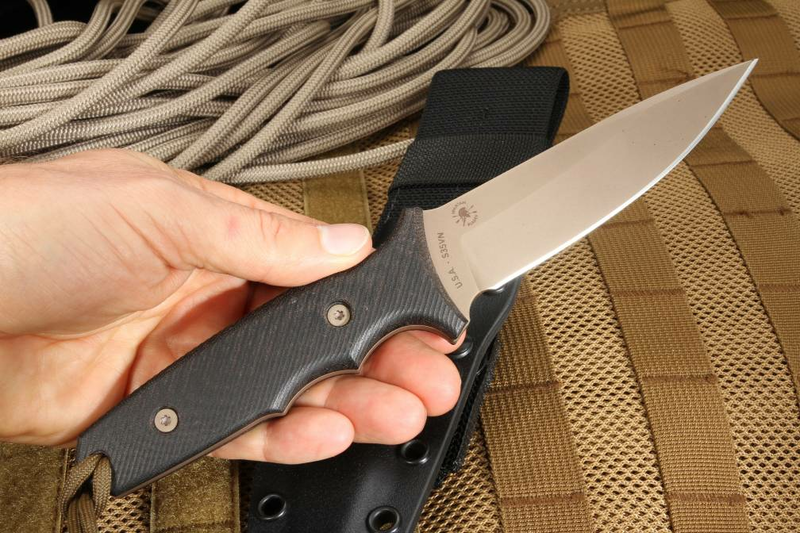 With a 4.5" handle, the knife achieves an excellent balance, with an ergonomically crafted 3D contoured Linen Micarta handle in black or camouflage. Finger grooves provide comfort for extended use, as well as a sure grip for intense, powerful cuts and striking, in wet or dry conditions. A lanyard hole at the pommel gives you options for use as well as carry when complimented with paracord. 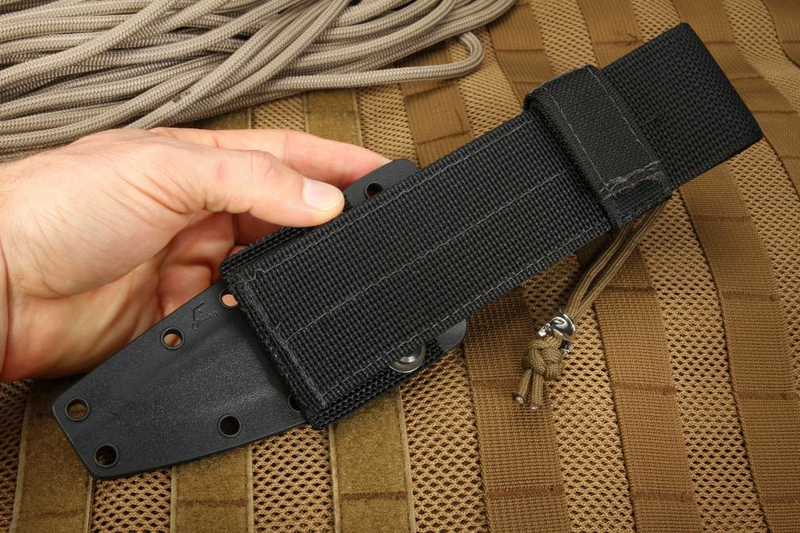 The Spartan Harsey TT comes with a tactical nylon sheath for comfort of carry and quick access. The knife is a comfortable yet sturdy .460 lbs in weight. As an authorized dealer of Spartan Blades, Knifeart.com provides fast free shipping, and a satisfaction guarantee with no restocking/handling fees in the unlikely event you don't like your purchase. 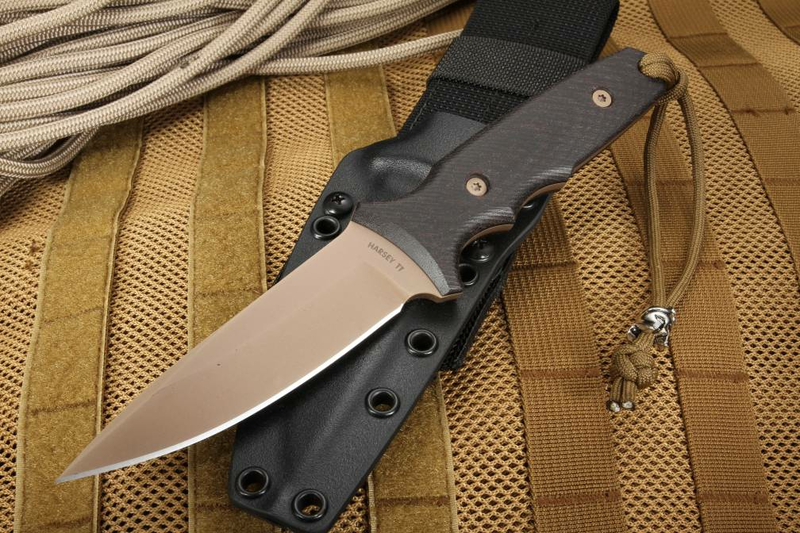 Spartan Blades are proudly made in North Carolina, USA and stand behind their product with a lifetime warranty.